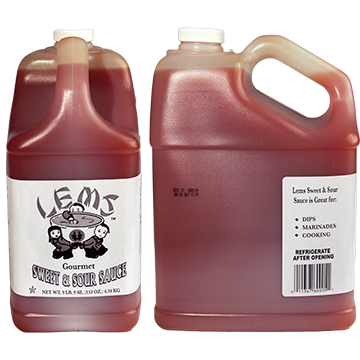 Lems Sweet & Sour Sauce - Garden Complements, Inc. 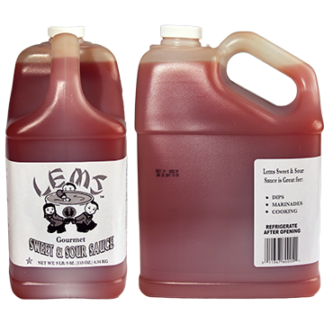 Inspired by traditional Asian Cuisine, Lems Sweet and Sour Sauce is a perfect balance of sweet and tangy – apple cider vinegar, lemon and pineapple juices and sweetened with natural sugar. Great as a dipping sauce for appetizers like meatballs and won tons, or used as a base for sweet and sour chicken or pork. Professional quality - Formulated to withstand the rigors of foodservice. Gluten-free.